The terms Group and team are used here interchangeable . Tradition 1b: There is but one ultimate authority for each P2TP group, a higher power that may be expressed in the group conscience decisions. Tradition 2: Twenty two early bird team members are rewarded for effort, via our local kiosk ad revenue sharing,The groups and the group chair are but trusted servant; they do not govern. Tradition 3: The only requirement for team membership is a desire to help the community keep it's ear to the ground. Tradition 4: Each kiosk should be self sufficient and except in matters affecting other kiosk's, be independent as an enterprise. 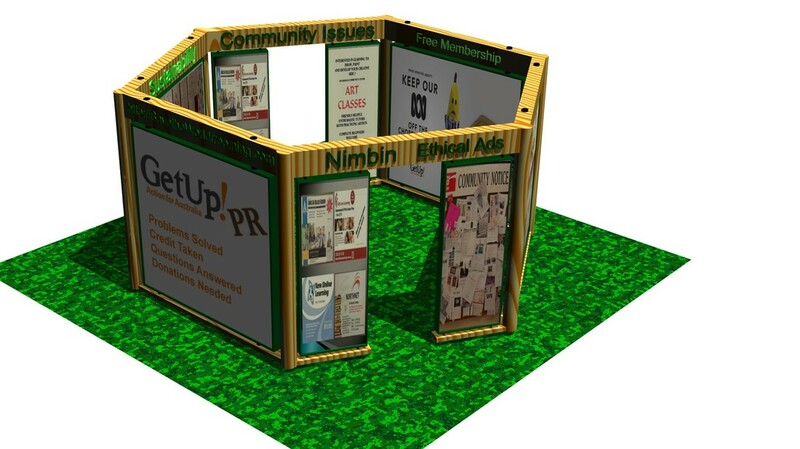 Tradition 5: Each local ethical ad kiosk team has a primary purpose - To educate and inform the public freely on local and international matters effecting education, public health, sustainability, and the astonishing value of the natural environment. A secondary purpose is in providing a public space for creative P2TP members. Tradition 6: Apart from approved ethical kiosk advertising, A team ought never endorse, finance, or lend it's name or property to any outside enterprise, lest problems of money, property and prestige, divert the team from the primary purpose. We are here to provide creative community members a place to display their art. and for ethical businesses ads. We don't want ads on our websites until we are so big we would fall over without them. Tradition 7: A Kiosk team should remain forever non-professional, but the P2TP foundation may employ special staff to manage our Offices. Tradition 8: P2TP teams, as such, ought never be organized; but may create service boards or committees directly responsible to the group they serve. Tradition 9: P2TP has no opinion on political issues; hence our kiosk's ought never be drawn into controversy on such matters, Our position Is very simple, We love the natural environment and we vote. Tradition 10: Our public relations policy is based on attraction and promotion; we need always maintain openness at the level of social media, the media, radio and films. Tradition 11: Ethical conduct, personal honesty, and integrity are our spiritual foundations, ever reminding us to place spiritual principles before superstitions. Tradition 12: Spiritual togetherness based on love, trust, and team unity, should always be held in the highest regard, ever reminding us to place principles before personalities.